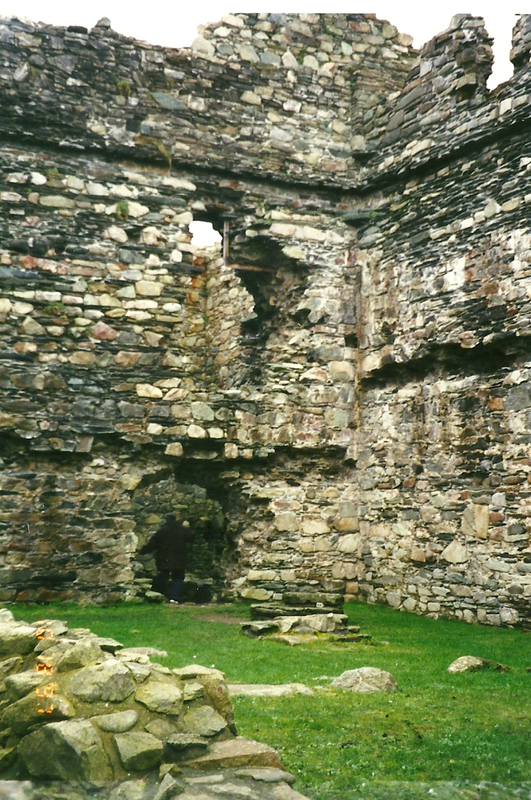 Rathmullan Abbey (circa 1509) in Rathmullan, Donegal. 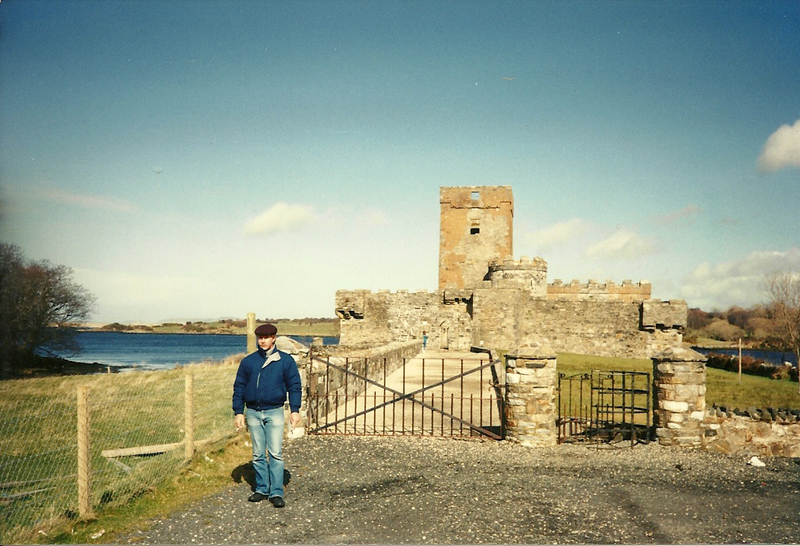 This area was the main center of the Mac Suibhnes na Fanad. 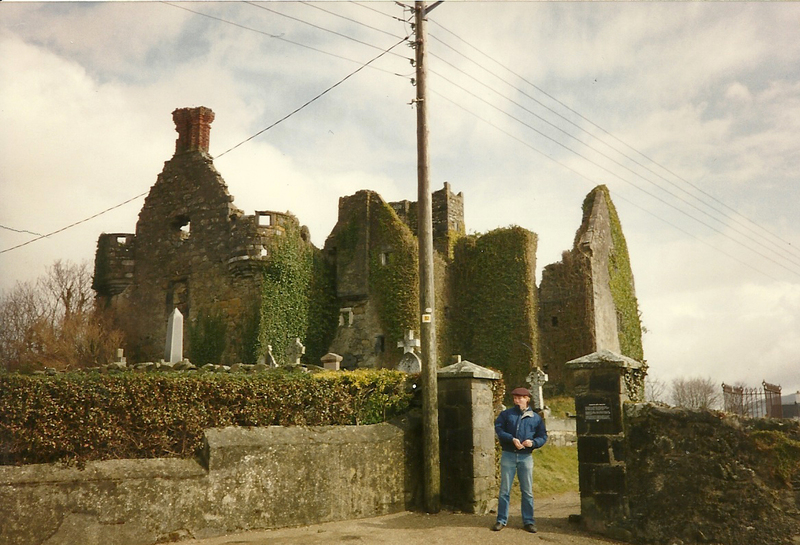 The castle is gone; the Abbey built by Rory Mac Sweeny and his wife Maire O'Maille (she thought of herself as a Princess, the O'Malleys were that way), Chieftain of Fanad is all that remains (except graves) of the family in this area. 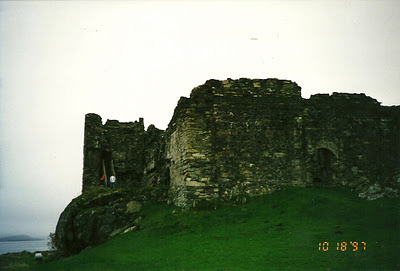 Castle Sween - Built in late 12th century. Castle Sween sits on a spit of land which just out into Lough Sween on two sides and hugs the mountains on the remaining two. 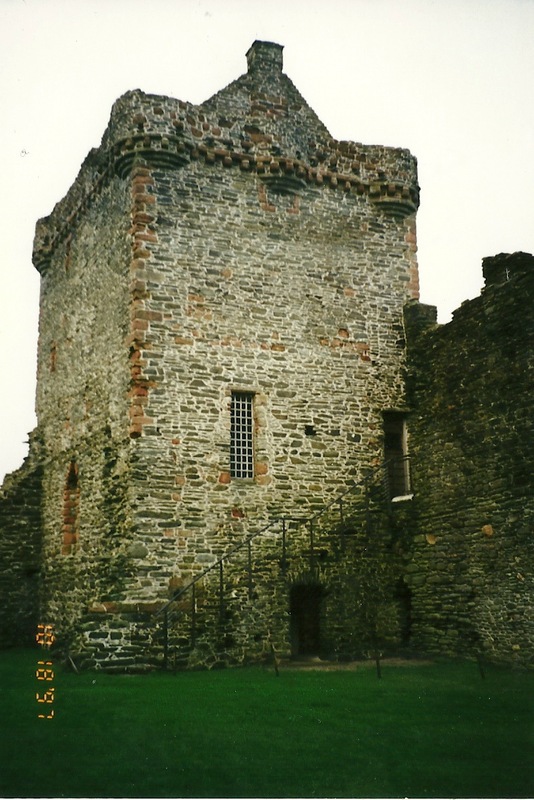 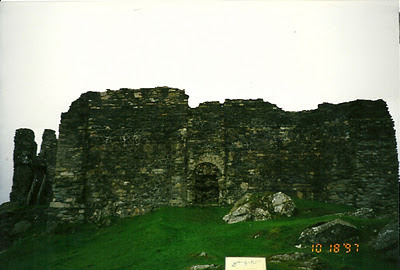 Castle Doe before the restoration process took place....no roof, no wooden stairs. There is a cemetery of Sweenys down a slope and towards the bay on the left side of the photo.